Bridge Magazine is committed to sharing the best environmental journalism in Michigan, an experiment known as #EnviroReads. Every two weeks, in Bridge’s Michigan Environment Watch, we’ll share a roundup of stories on the Great Lakes or other issues. If you see a story we should include next time, use the hashtag #EnviroReads on Twitter or email Environmental Reporter Jim Malewitz at jmalewitz@bridgemi.com. “After years of decline, Canada's dirty diapers, coffee grounds and banana peels are once again being trucked to Michigan in a major way,” Keith Matheny reports. “The reason? 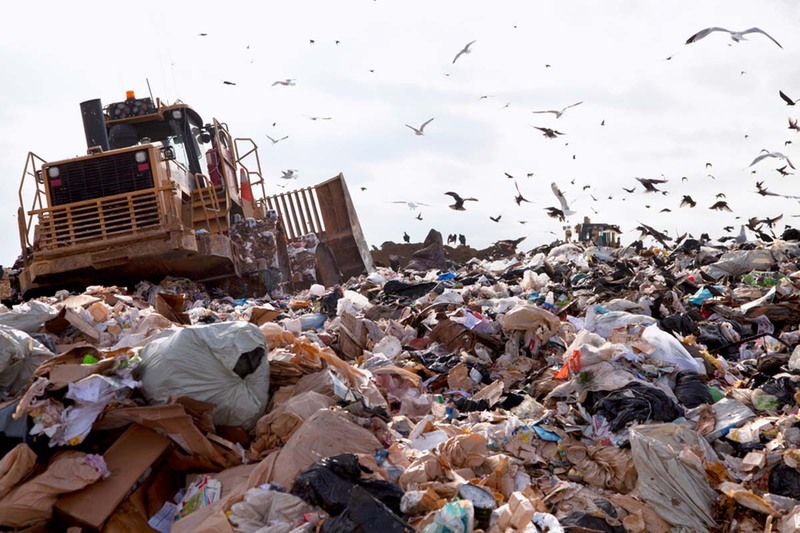 Michigan’s abundant landfills and low fees make it a preferred destination for trash from other states and other countries.” The surge in imported waste between 2016 and 2017 was enough trash to fill 881,000, three-axle dump trucks, according to the report. “In the year since the Wolverine Worldwide PFAS crisis started in northern Kent County, the likely carcinogen has turned up in hundreds of wells and in the blood of some residents.It has led to 100 lawsuits alleging cancer, miscarriages, even three deaths,” WoodTV staff reports. “But 200 miles away, the state’s very first PFAS scare is something that can be seen — PFAS foam forming on a lake and a stream.” The site: the former Wurtsmith Air Force Base. “A major Michigan utility says it doesn’t need new generation from renewable energy developers, and it shouldn’t be forced to pay for it,” Andy Balaskovitz reports. “Michigan has become the latest battleground over a decades-old federal law known as the Public Utilities Regulatory Policies Act, or PURPA.” The consequence: Hundreds of megawatts of renewable developments are on hold. “What is it about Southwest Michigan that attracted not just one, but two nuclear power plants?” Alexandra Newman digs into the history of the region’s nuclear power bonanza and lays out the implications.